In this weeks blog post I will be analysing my narrated experience detailed in my last blog post (which can be read here) about my independent research project and relating this to Ellis et al (2011) reading using autoethnography methodology. For my research project I decided on the concept of Indonesia cuisine, however, I wanted to focus specifically on Indonesian breakfast foods. When you think about Indonesian food a lot of people would be able to name a few dishes and have a general idea of what their food entails, but when you think about Indonesian breakfast you’re a bit stumped on ideas aren’t you? This sparked an epiphany. This can be seen through using my personal experience of living in Singapore and the foods I ate, this is being used as a reference for this project. Indonesian food is commonly found in hawker centers (food courts) in Singapore, however, I would often only eat there for dinner, never breakfast. I was completely unaware of what a typical breakfast meal is. I know Indonesian foods are packed with flavour and I am expecting their breakfast meals to be quite similar. Throughout my research, I have learned that I have a favourite place to find information…. and that is reading blog posts, lots and lots of blog posts! I just really enjoy blogs because I feel like it’s more genuine and more of a real experience from someone else. Many blog site authors have given their own take on the history of Indonesian breakfast and what it has been like for them to try a traditional breakfast meal. I have been and will continue to focus a majority of my research through blog post as this will allow me to analyse post by local Indonesians and their interpretation of cooking breakfast meals. My current research has sparked a new perspective as Couser (1997) and Goodall (2001) stated autobiographies must illustrate this. A new perspective on the boundaries of breakfast foods, there is no right or wrong, every culture does it in their own way. My research could possibly be a display of reflexive ethnography, which records the way a researcher changes in result of their study. I am interested to see if I have changed throughout my research and if I have now, maybe I will have incorporated Indonesian breakfast dishes into my morning breakfast or possibly adopt Indonesian cooking techniques. Ellis, C, Adams, ET & Bochner, AP 2011, Autoethnography: An Overview, Forum: Qualitative Research, vol. 12, no. 1. When I was thinking about my research project I started to brainstorm what I would be interested in research. I often spend a bit of time on Pinterest looking for recipes to cook, then I started to think about Asian food and began looking at dishes on Pinterest. I then thought, what do you think about when you hear Indonesian food, majority of people would think of dishes such as Satay (Sate Ayam), Beef Rendang or Nasi Goreng (fried rice), but how many Indonesian breakfast dishes can you think of? I would think not many, maybe even none. I became curious as to what a traditional Indonesian breakfast would consist of. Many people over look breakfast, however, in certain countries it is the most important meal of the day. Majority of countries in Asia including Thailand, Vietnam and China etc, their breakfast meals often consist of spicy flavours, warm rice and possibly vegetables. This is quite different to Vegemite on toast or rice bubbles we have in Australia. This idea lead me to my digital artefact. I will be conducting research around the history of Indonesian breakfast culture, I will be reading through various blogs of those who cook the breakfast meals and their experience with the cuisine. Then I will decide on a breakfast dish and try to recreate it to the best of my abilities. I do enjoy cooking every now and then so I am looking forward to seeing the process that goes into making these unique dishes. For the data I will looking for food blogs of individuals who have created Indonesian dishes or even those who have tried Indonesian breakfast’s and their experiences. I am hoping to find blogs on chefs who cook Indonesian food to understand their take on cooking the cuisine, and I am also looking for personal experiences from the chefs and bloggers to gain a deeper understanding surrounding traditional dishes. I will be searching through various websites including YouTube and Pinterest to see how others have re created dishes and how they have interpreted the meals. I will also be using a range of website to make the meal, I usually find recipes from cooking website but then I follow recipes through a video format. I will conduct thorough research regarding the history of Indonesian food. I have chosen to make this an important aspect of my project as this will allow me to greatly understand more about the Indonesian culture and the importance these traditional dishes have to the locals. I think this will make the research project more meaningful knowing the background of the meal I will be recreating. Each culture value things differently and in Indonesia it seems as though food has a unifying power of bringing people together. I know in Singapore, food is a way of bringing people together whether its for breakfast, lunch or dinner, they always make time to sit together and enjoy the moment. I brainstormed a few ideas of how I would like to communicate my digital artefact. The first idea was to document my process through photos and explain the steps I went through in a blog format. However, I thought photos wouldn’t be enough to capture the whole project. I have decided to document my artefact through a YouTube video, this way I am able to video the steps through my perspective from buying all the ingredients to recreating the dish. I was additionally thinking of adding a summary a long with the video about the history of Indonesian cuisine that I have learnt during the research I have undertaken. I am looking forward to learning as much as I can and portraying my knowledge through my research project. I am hoping others will be able to learn more about Indonesian culture through understanding their traditional dishes. Akira was set in the future of 2019 representing a dystopian version of the Japanese capital, Tokyo. The film is packed with gruesome daring battles with blood being a constant image throughout the film. The use of destruction from bombings is a common theme within Japanese film, in relation to the atomic bombings of Hiroshima and Nagasaki, which has a significant impact on the Japanese. It is recognized that a form of the healing process is done through a form of imagery in literature, music, and art as seen in Akira. Akira and many other anime films reference atomic bombings from the symbolic to the literal (Fuller, F 2015). The Japanese may refer to the history of the atomic bombings from their personal experience and understand the cultural experience through the imagery of Akira. 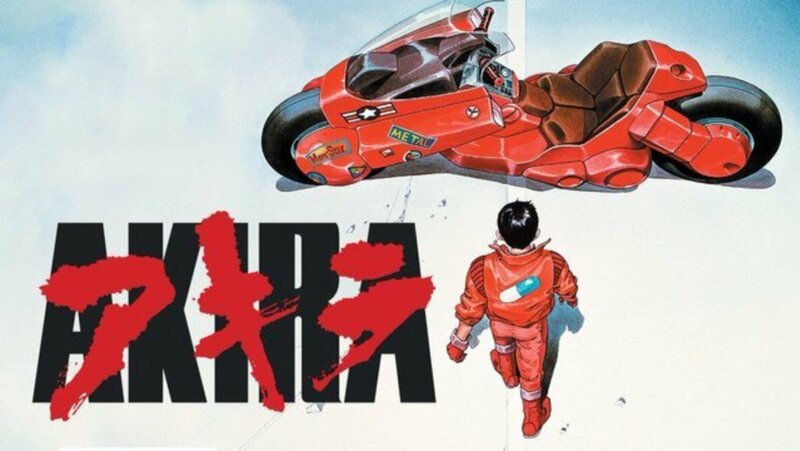 I wouldn’t say watching Akira was the easiest film to watch, nonetheless using autoethnography as an approach I thought back to the times I watched InuYasha and other various anime shows and felt as if I had a deeper understanding of the film and characters. During the film, I experienced an epiphany surrounding the fact that many of us automatically think back to our personal experiences in order to help us understand a current cultural experience. For example watching Akira, I noticed during the live tweeting that many students related Akira to watching Toy story from their childhood. I believe this is a process people go through to make connection and feel comfortable with a new experience. I have never seen Godzilla, or any adaptions of the film, so watching Gojira was a new experience for me, I even did some googling to understand more of the plot, this lead me to find an interesting fact on how Godzilla’s roar was created, it was not done by using animal noises but was created by music composer Akira Ifukube, by taking a string off of his contrabass and rubbing it with gloves soaked in pine tar. The graphics and acting were distinctly different compared to movies these days however it was expected as Gojira was produced in 1954. It somewhat reminded me of the 1975 film Jaws. The film represented Japanese culture which I felt aware of due to my schooling. At the age of ten, my family and I moved to Singapore where I attended school and graduated in year 12. Living there for eight years created a culterally diverse environment for me at a young age, making me aware of other cultures outside of what would be experienced in Australia. Often after school I would watch Japanese game shows on television and listen to Kpop (Korean music) on MTV. My friends at school would show me their favorite movies where I watch while reading subtitles and my dad would regularly travel to Japan for work telling me about his experiences. I feel as though Asian films are quite common to me therefore leading me in having an understanding of the Gojira actors and their culture. The concept of auto-ethnography which is a methodology approach in research and writing that is gathered from individuals personal experience in understanding a cultural experience. This was evident in screening Gojira, I thought back to my experiences with Japanese film/television in order to underestand the cultural experience within Gojira. It is widely known that Kaiju movies (Japanese movies involing monsters) were used as symbolism for the nuclear terror resulting from Hiroshima and Nagasaki. However after nine years of these horrors, Gojira was released and was potrayed as a theme of visceral immediacy (Orr, 2014). It’s very interesting reading indepth about the influence of Gojira as many typical viewers of the 1954 classic would not know. The first time I published a blog post was in March 2016, during my initial semester at university. I needed to think of an idea to write about and how to express myself in a blog, and I’ll be honest, it took me hours to publish my first post. Reading through my word press today I feel like I have improved immensely over the past two years. I have developed more confidence in my public writing. In the beginning, I was not aware of how important blogging would be during my university degree. I often refer to this article by Lou Martin so that I am confident in my knowledge of following those steps so I can produce the best blog posts possible, as well as continuously improving my ability to think critically. Ladyshewsky and Gardner “described blogging as a form of peer-assisted learning at the undergraduate level” (2017), I find this statement highly accurate, as I have experienced first-hand the peer-assisted learning platform. I think the most important part about blogging is how engaging the posts are, whether it has photos, videos, links etc. determines if it will attract my attention. I know when I read an individual’s blog and see photos and hyperlinks I am interested. I took this knowledge and adapted it to my own blog. I also attempt to engage with my audience by using multiple photos from other people and myself. I found it important to take the time in researching relevant and appropriate sources for each blog post, this included using multiple secondary sources. As a researcher I use diverse online sources and embed them into my blog posts to allow my readers to further develop their knowledge surrounding the topic of my blog posts; they need to be reliable sources. I also make sure to embed the links to open in a new tab, there’s nothing more frustrating than when you click on a link that opens in the same page! A few months ago I changed my blog introduction and began my blog posts with a fun and unusual beginning to grab the reader’s attention. I enjoyed this technique and thought this is how I want my online presence to be. I have frequently researched tips on how to improve my blogging techniques; I have also shared these tips on Twitter. Twitter has helped impact my blog exposure allowing other people to make contact as well as finding other students and their blogs. Every time I publish a post I will share the link on Twitter using the BCM241 hashtag, allowing me to engage with a larger audience to receive/give feedback. Every now and again it is important for me to read new blogs, this helps me develop my public writing practice. One of my favorite word press blogs is Raspberry Thief. I admire the way she engages with her readers and the use of multiple visuals, several hyperlinks and the way she conveys her stories, as well as having an organized theme. Using this knowledge I try to adapt these techniques in my own blog so I can continuously improve my public writing skills. I was reading an academic article until something stood out to me, it was “blogs can facilitate positive learning experiences among adult learners through reflection-oriented learning processes” (Park, Helo, & Lee, 2011). It made me think, this is what I am doing right now, I am reflecting and learning. It really made me sit and think how beneficial blogging is. To some, it may seem pointless, but blogging is a process where one can reflect and learn. I found this quite interesting. One step in developing my public writing is to blog weekly to maintain consistency so my entries become a reliable blog. I have linked my twitter feed for those who wish to further engage with my online presence. My blog is organized by categories, which are located at the top of my word press, this allows a reader to easily access the different topics. My word press statistics tell me how many views my posts receive as well as how many people visit my blog. The data below informs me that the individuals that view my word press visit only once. I need to change my strategy to attract consistent viewers. The statistics also show that my readers are viewing from the countries Australia and America. This could be people i.e. from America finding my blog after searching through Twitter and being interested in the topics I discuss. There has also been audience engagement by readers when they have left comments on my posts; this encourages me to continue publishing so I can hopefully keep them involved. Reflecting on my word press over the last two years I would say it has definitely become easier for me to blog. I find that I have developed my skills and it is less difficult for me to start each weekly blog. Prior to this, I would struggle to begin each post and find the right words. When I look at how my writing skills have changed throughout the two years I feel like I have become a more mature writer and the quality of my work has improved drastically. It has become second nature to use hyperlinks and incorporate online sources to add depth to my research. The main motivation I have with forming my blog posts is reading others and learning from the way they express their content and the structure of the blog. I have gained this insight by following and reading other bloggers who create unique content; this opens my understanding on how I should create my next post. The blog has helped me during my degree of marketing & advertising at university, it has given me confidence and my writing skills have definitely developed. Going forward I hope to develop my research more and find unique ways of expanding my knowledge of public writing. Nedder, MN 2017, ‘Blogging as an Innovative Method of Peer-to-Peer Educational Sharing’, Critical Care Nurse, vol. 1, no. 9, p. e2. Kuo, Y, Belland, BR & Kuo, Y 2017, ‘Learning through Blogging: Students’ Perspectives in Collaborative Blog-Enhanced Learning Communities’, Journal of Educational Technology & Society, vol. 20, no. 1, p. 37. Media Regulation, some hate it some love it. I think from a parents perspective, regulating inappropriate/violent scenes from tv shows and movies is a good thing for their children, as they can watch videos without worrying. On the other hand, it can be frustrating for adults who wish to watch a movie without anything being regulated. Media regulation is a big topic within Australia, but let’s look at another country, Singapore. I grew up in Singapore allowing me to have the first-hand experience of the media regulation on tv. I used to watch the movie The Hangover on my laptop all the time and I remember one night it was on TV and was really excited. It got to a scene where there were a group of guys in a car with a tiger driving home, and in this scene, the tiger got vicious and had a fight with the guys. Yet while I was watching them driving in the car it quickly cut to them at the hotel covered in scratch marks. They cut out the whole scene! This is when I learned that Singapore had strict media regulations. I believe under certain circumstances it is valid to regulate media, however for example in Singapore I believe it wasn’t necessary to cut out multiple scenes from The Hangover that weren’t harmful to viewers who were of the right age to watch the movie. I felt restricted when it was regulated because I had already seen the full movie so it felt pointless for the government to regulate media. “Humans have shorter attention span than goldfish, thanks to smartphones” Do you agree with this statement? Telegraph UK stated that a research by Microsoft was conducted in 2000 that found humans attention span was 12 seconds, that has now fallen to 8 seconds due to the use of media devices, while fish apparently have an attention span of 9 seconds! Last weekend I went to my cousins 1st birthday, I decided to count how many times my older cousins were distracted by their phones throughout 3 hours of the birthday party as well as if they lose attention to their surroundings. I was analyzing five of my cousins who all have mobile phones. I thought this would an interesting analysis to take considering two out of the five (females) constantly use their phone while the other three out of five (males) don’t use their phone as much. Throughout the 3 hours of eating cake and playing party games, I collectively counted that my two female cousins used their phones 34 times. One using their phone more than the other. While my three male cousins used their phones 16 times collectively. All together my five cousins used their phones 50 times during the 3 hours at the birthday party. During this test, I noticed my female cousins would hold attention with whoever they were talking too while my male cousins lost a majority of their attention when looking at their phone. I will admit I wasn’t surprised to find out that when my two female cousins we in the presence of their media device they were able to hold their attention to their surroundings, whilst my male cousins lost all attention and was only able to focus on their phone in that moment. I did some research and interestingly enough I found that if you go all day without using your phone, by just having it visibly near you it is able to distract you from intricate tasks (time, 2014). This makes me wonder if my female cousins are completely distracted by their phones when they used them. A research was done by Hokkaido University that verified the concept that the mere presence of your phone can interrupt your performance. I personally believe our attention span will continually worsen, with the world engrossed in media devices and new technologies invented every day. Who knew fish would be able to pay attention longer than humans! Watson, L 2015, ‘Humans have shorter attention span than goldfish, thanks to smartphones,’ Telegraph UK, 15 May, viewed 18 September, <http://www.telegraph.co.uk/science/2016/03/12/humans-have-shorter-attention-span-than-goldfish-thanks-to-smart/&gt;. “there are no publicity or personality rights in Australia, and there is no right to privacy that protects a person’s image”. However, I do believe it is important to ask permission before taking a photograph as it is respectful towards the individual. Last week I was walking through the grounds of Wollongong University and noticed 3 out of 4 students were on their phones whether they were walking, talking to friends, studying, anything they were engrossed in their mobile device. I noticed one student sitting on her own, intrigued by something on her phone. I decided I wanted to capture the moment, however, I approached her before I took the photograph to gain her permission. She was lovely enough to say yes! Taking photographs of individuals provokes another question, can you post these photographs online? The Arts Law Centre of Australia also states that unless it is a breach of duty it is legal for photographs to be of use/publication. I somewhat disagree with this statement. I feel like people should not be allowed to use photographs without someones permission if they are the main subject. It is important for us to know the rights surrounding photographing others! When I was in high school my favorite thing to do was to watch horror movies. Luckily my best friend loved them too. Every weekend we would either watch a horror movie online or in the cinema so you could say I was avid cinema watcher back then. But now I’m at uni and I work on the weekends I don’t go to the cinema nearly as much as I used to. This could also be because of how expensive movie tickets are nowadays, they used $8 and now they’re $22! This would definitely be capability constraint. If you’re not enrolled in BCM241 you’re probably wondering what on earth is a capability constraint? Well, Professor Torsten Hӓgerstrand has identified three constraints on human migration. The first constraint being capability constraint meaning ‘the limitations on human movement due to physical or biological factors’, Hӓgerstrand then identified coupling constraint which means ‘the need to be in one particular place for a given length of time, often in interaction with other people’, and lastly authority constraint which is ‘an area (or “domain”) that is controlled by certain people or institutions that set limits on its access to particular individuals or groups’ (John 2001, p. 2). I was given movie tickets for my birthday last April, I realized this would be the perfect time to use them for this weeks task while looking for any constraints. My friend and I decided to go and see Annabelle Creation. I think the majority of people would prefer to sit in a cinema that’s quiet with fewer people, but I don’t. I prefer cinemas full with people, I get to hear everyone’s reaction whether it’s screaming or laughing and I think it makes it a better experience. During last nights movie experience, there was an authority constraint as we were given a specific location on where to sit. When we sat down we saw a few free seats and wanted to move but soon after the seats were taken. We also experienced another authority constraint as there was a cinema usher who would walk up and down the aisle multiple times to check if everyone was behaving, this made me feel restricted even though I was doing nothing wrong! Previous to watching Annabelle Creation my friend and I went to dinner close by, where coupling constraints arose. We finished dinner at around 9:10 pm and rushed over to pick our movie which was at 9:05 pm. We thought we would miss the beginning of the movie, luckily it was only credits. We needed to consider the coupling constraints to allocate more time to arrive at the cinema in time. There were no capability constraints surrounding traveling to the cinema as I had my car and wallet available. I would say this was a successful cinema experience and it was interesting to be aware of these constraints and understanding new ways of human activity in the cinema space (Corbett, 2001). What lengths do people go to get the perfect Instagram photo? I want to discover how much Instagram dictates one’s life. I am interested in finding the answers to questions such as do you travel to certain places just for an Instagram photo? Have you decided on a restaurant based on which restaurant will be better for photos? Statistics show that 30% of individuals would decide against going to a restaurant if there was no potential for taking a photo for Instagram (Hosie, 2017). It is interesting to me to discover the ways individuals interact with the spaces around them when using social media, and how much does this affect them individually. 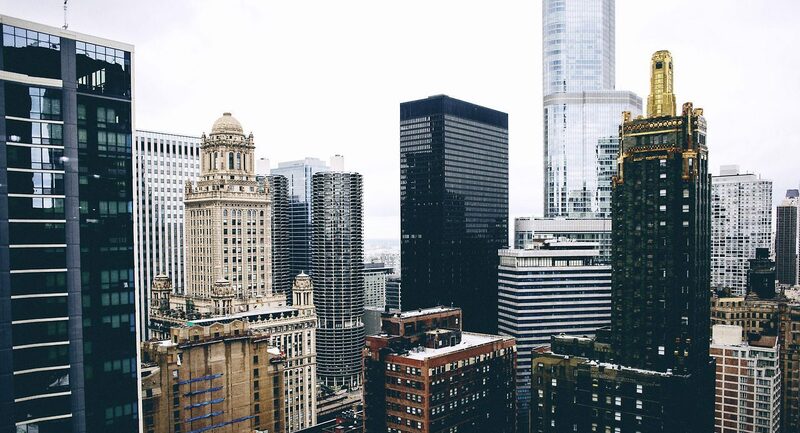 University of Wollongong Professor Katina Michael states that “These days, people like to be associated with brands, not just global brands, but local brands,” and this made think that this could be a part of the reason why individuals travel to certain places and go to such lengths to take a photo for their Instagram. I hope to uncover more of the reasons why during my research. Personally, I use Instagram to view real-time photos others have posted at a location I am going to. For example, If I was going to Bondi Beach I would search Bondi Beach location on Instagram and see what photos had been posted in the past hour so I could what was happening at Bondi Beach before going there. I also do this with restaurants to see what photos people have posted of the food so I know what the food looks like before going! In saying all this I am guilty of going to a cafe or beach just for an Instagram photo, I’m sure many of us have (or I hope so). I wish to conduct this research through Lassisters approach by discovering how others collaborate with each other in going the lengths to achieve the image they want. The primary search I have thought about conducting is through online surveys. This will allow me to gather quantitative data that will enable me in uncovering my topic question. I am also thinking of interviewing a couple of individuals to obtain more in-depth responses that I will be able to draw information from. I will also use the systematic data approach for my secondary research of observation by looking through locations on Instagram and identifying the purpose of the image. I begin my online research first by reading various articles and even online interviews with social media personalities. I am hoping that this task will allow me to learn and discover more about how society uses Instagram and how important it is to them even if they aren’t aware of it. Huntsdale, J 2017, ‘From breakfast to business boon: How Instagram photos have become priceless free publicity’, ABC News, 2 August, viewed 17 August, <http://www.abc.net.au/news/2017-08-02/stylish-instagram-posts-become-free-advertising-for-businesses/8763778&gt;.